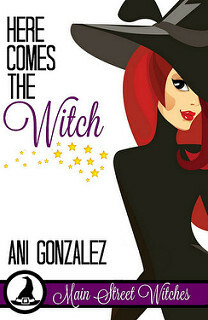 I am organizing a blog tour for Here Comes the Witch by Ani Gonzalez. The blog tour runs from 7 till 20 September. Review copies are available for reviewers during the tour in e-format (mobi, epub and pdf). There will be a tour wide giveaway. 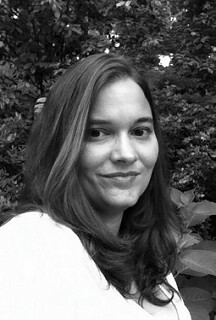 I write paranormal romantic comedy and cozy mystery (whew, that’s a mouthful!) set in Banshee Creek, Virginia, The Most Haunted Town in the USA. My books feature feisty funny heroines dealing with a host of paranormal critters (ghosts, cryptids, pagan gods…the sky’s the limit) and mysteries. They find magic, love and laughter and readers get to follow them every step of the way. I love quirky towns with spooky stories, and, thanks to my books, I get to “live” in one year-around. In real life I live in a Minneapolis suburb (which is sadly lacking in ghosts) with my husband and three children and I’m still trying to adjust to the cold. The custom jewelry you can win is showed below. 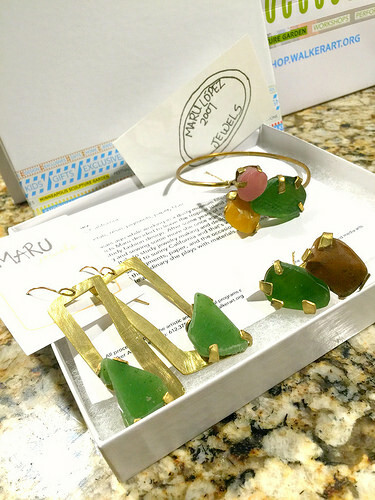 It’s a handcrafted contemporary jewelry set (ring, earrings, and bracelet) by Maru Lopez, a San Diego-based artist specializing in custom creations using metals, resin, pigments, paper, and the occasional fabric. Inspired by extraordinary of the ordinary she plays with materials and creates fun and unique works of wearable art. You can find Maru Lopez online on the following places: Website, Facebook and Instagram.